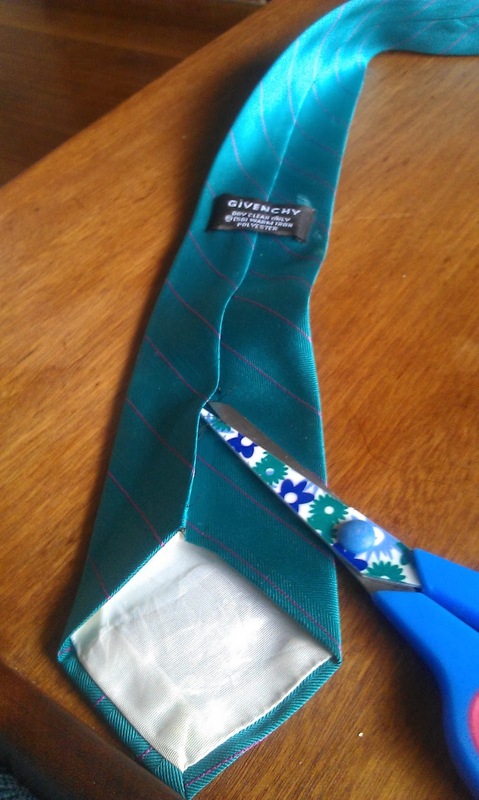 I purchased a Givenchy necktie for Mr Recycled, just a dollar from my local Op Shop. Sadly though, it appears Mr Recycled and I do not share the same taste in necktie's, he didn't really like it. The Givenchy tie happens to be in one of my favourite colours, so rather than donate it back to the Op Shop, I put it aside to make an accessory with. This was really, really easy to make, and took less than half an hour to complete. 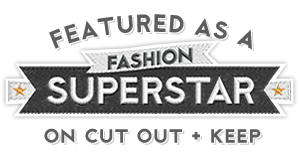 The project involves minimal cutting therefore minimal waste. 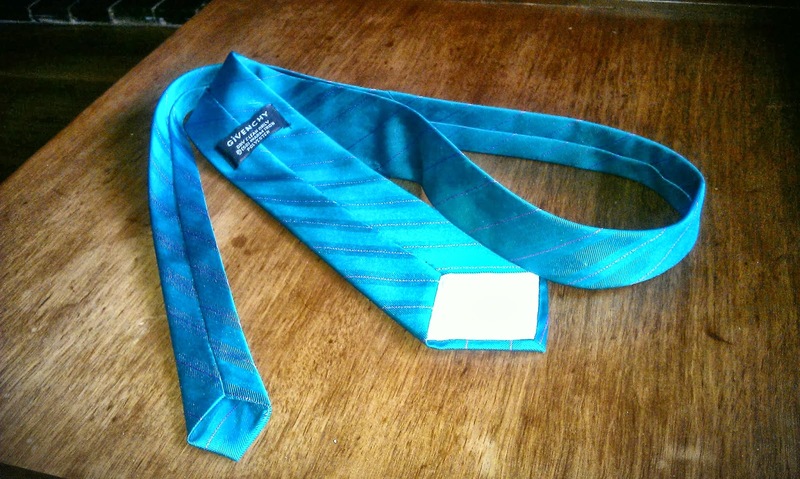 Secondhand necktie, thrifted is fine, it doesn't have to be silk. Needle and thread. I used 'invisible' nylon thread. Seam ripper, otherwise you could just use scissors. 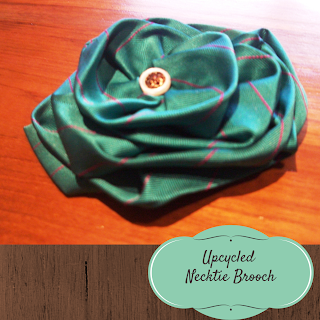 Glue gun and brooch back, this is optional, as you could also sew on a safety pin. 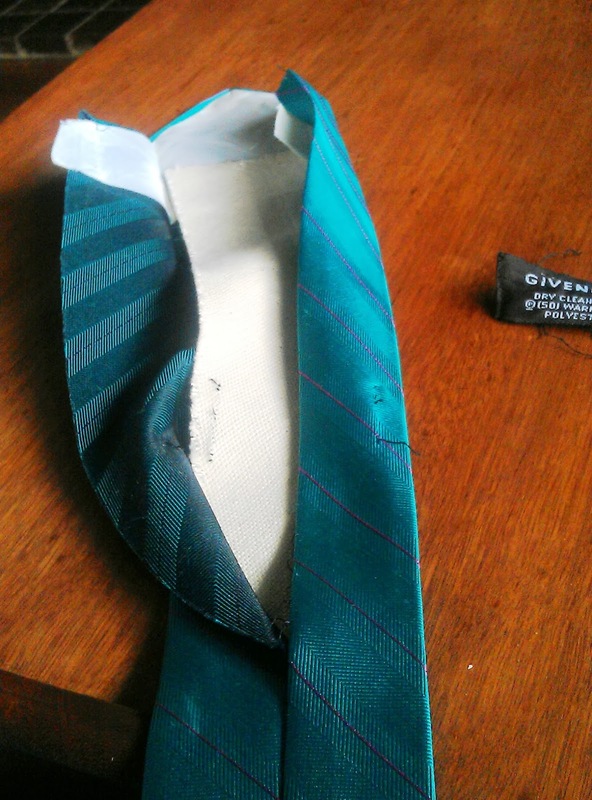 Once that is done, keep hold of the necktie inner lining, you will use this later. 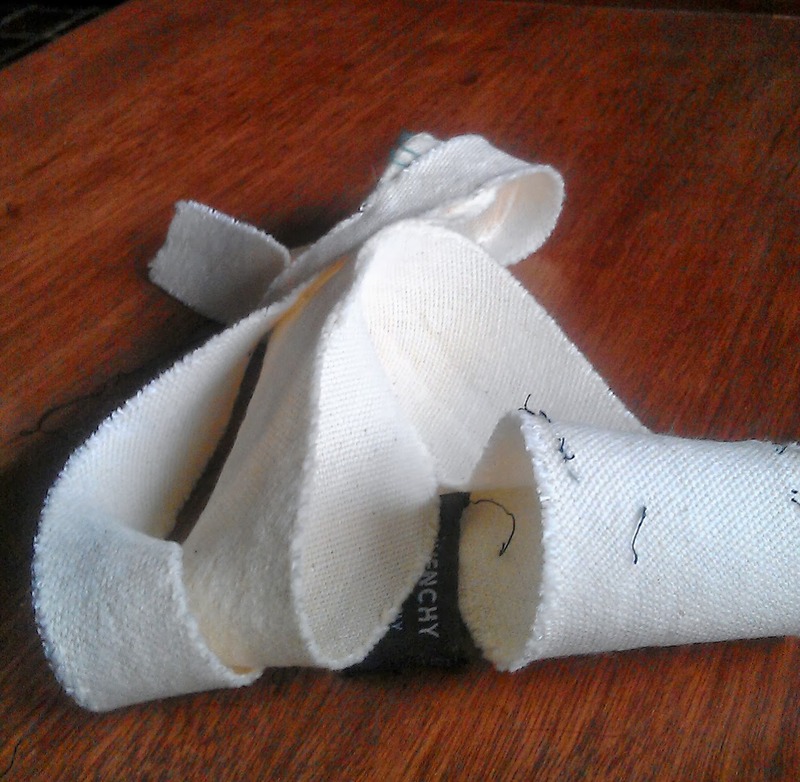 Hold your necktie and start folding it around in a circle, starting with the larger end first. Pins might help you here to hold in place as you fold. Use your needle and thread to sew by hand and hold in place. You're just about done now, the final step is to sew a decorative button to the centre front (if you want to) of your flower brooch. The fourth and final step is to attach a pin to the back. I've also used the removed lining from the necktie and cut two circles as backing for my pin (you can see my cut circles in the third image above). 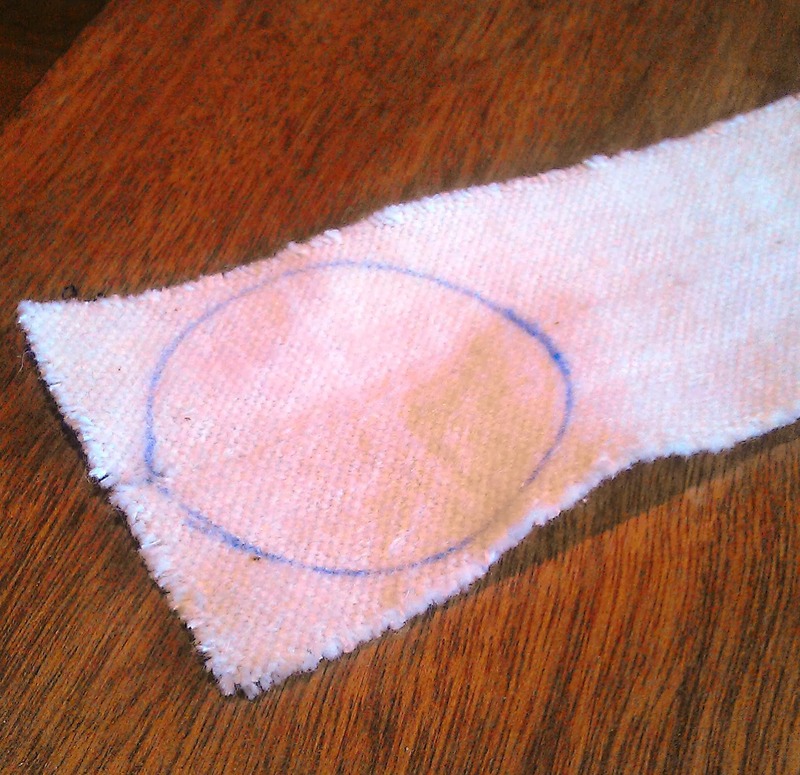 You don't have to do this if you don't want to, but I find the backing circles cover the messy bit at the back. Then, add your pin. I have plenty of brooch back pins at home that I use for my zipper brooches (brooch backs purchased in bulk from etsy). I used a glue gun to attach both the backing circles and brooch back pin to the rear. If you don't have a brooch pin, no need to go out and buy one, you could sew a safety pin onto the back which would work just as well. Let me know if you try this, or if you have any questions with the tutorial. Erica, I am very grateful for the tutorial. I know how much time and effort goes into presenting the information. These are easy to follow instructions. Thank you. I will share with my Facebook group @ Melton Bowerbirds. 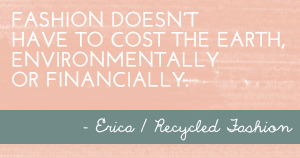 Great tutorial Erica! Such a cute brooch! Great recycle, and also a wonderful tutorial, thanks! This is so cool and it looks awesome. I have not tried making a necktie brooch, but you have inspired me. I would never have thought to take the lining out. Thanks for the hint. Fun use of a necktie. Thanks everyone, really appreciate your feedback! Great idea and so well done. Thanks for sharing.